To our surprise, despite the odd weather we've been having in NJ, the Daffodils are here! Dotting the landscape from Turnpike exits to neighborhood garden beds, these bright and happy yellow flowers can been seen across the state right now. Daffodils bloom quickly and most commonly come in bright or pale yellow, warm white, or a white and yellow combo. 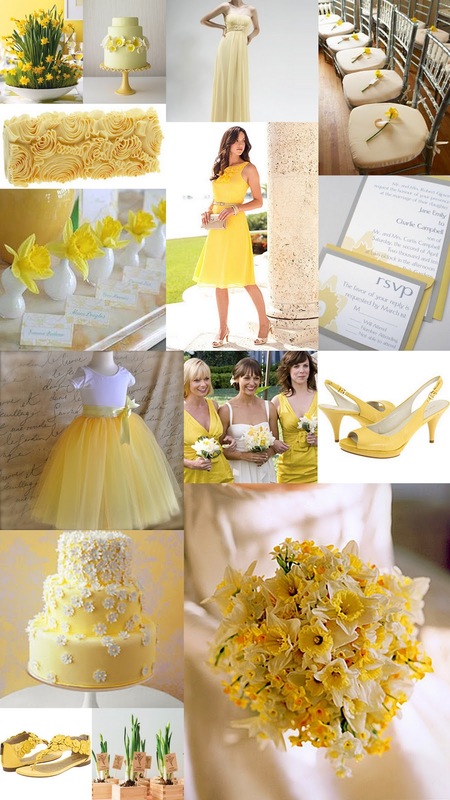 So, in true springtime fashion, let's celebrate the brief Daffodil season with a cheerful color board that's sure to brighten your day. Color Day Themes: Reduce, Reuse, Recycle.